I was recently writing a tool in C# and I needed a way to get a YouTube video title. I could have used the YouTube API but I wasn't bothered about setting everything up and going through the documentation, so I decided to scrape the title off the video page itself. var title = GetYouTubeVideoTitle("http://www.youtube.com/watch?v=TY9jN6hm3N0"); // "Wicked Lady - Ship of Ghosts (Part 1 of 2) 1972"
Be wary of using this method for extracting titles because it could potentially break in the future due to changes in how YouTube renders the page with HTML; but it may be useful for quick scripts. 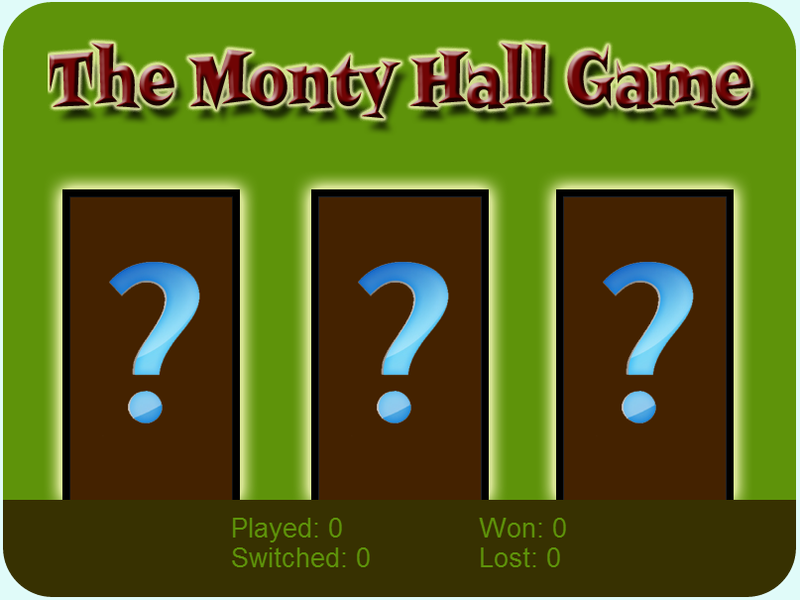 You can play the game here and find the source on Github: https://github.com/dreasgrech/The-Monty-Hall-Game. The code leaves much to be desired but since this was a quick weekend project (...although some tweaks did spill over to the rest of the week), I didn't worry too much about it. You're on a game show and begin the game by having three doors in front of you. Behind one of the doors, lies the prize. You don't know which door is the winning door but the game show host knows. You now randomly choose the door which you think has the prize behind it, but the door doesn't open for the time being. In this case, we are going to choose the middle door. 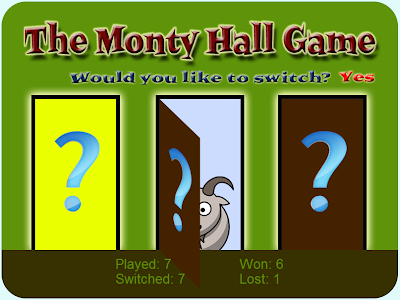 The game show host must now open one of the two remaining doors, and the door he chooses must not be the winning door. For this example, the game show host opens the door on the right. The host now asks you if you want to stick with your first choice or switch to the remaining door. Is it to your advantage to change your choice? These results show how the number of times you win when switching the door is approximately double the number of times you win when not switching the door. This may seem counter intuitive at first as you may think that there's a 1/3 chance of winning, but as you can see from the above results, that's actually not the case. 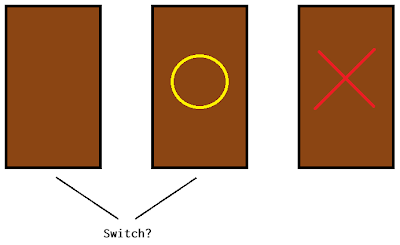 In fact, switching the door wins twice as often staying. 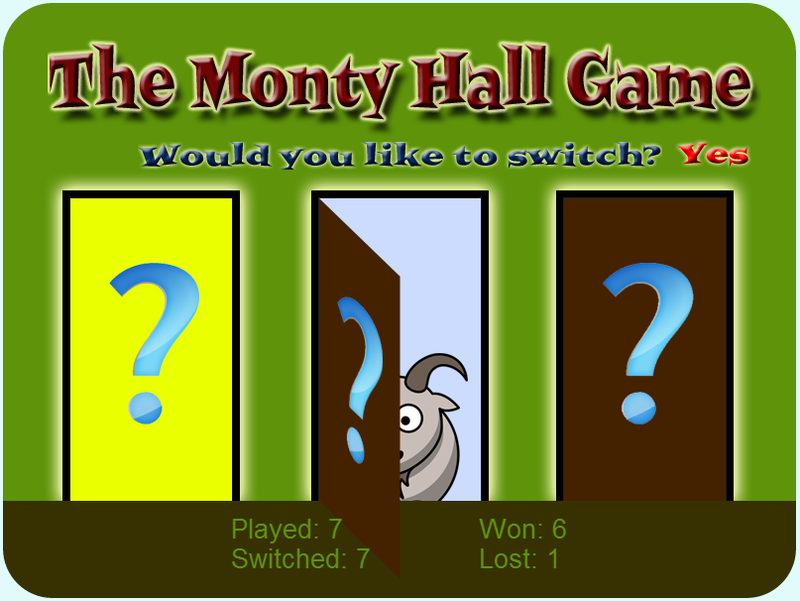 Notice how, irrespective of which door you initially choose, you always have 2/3 chance of winning if you then switch. 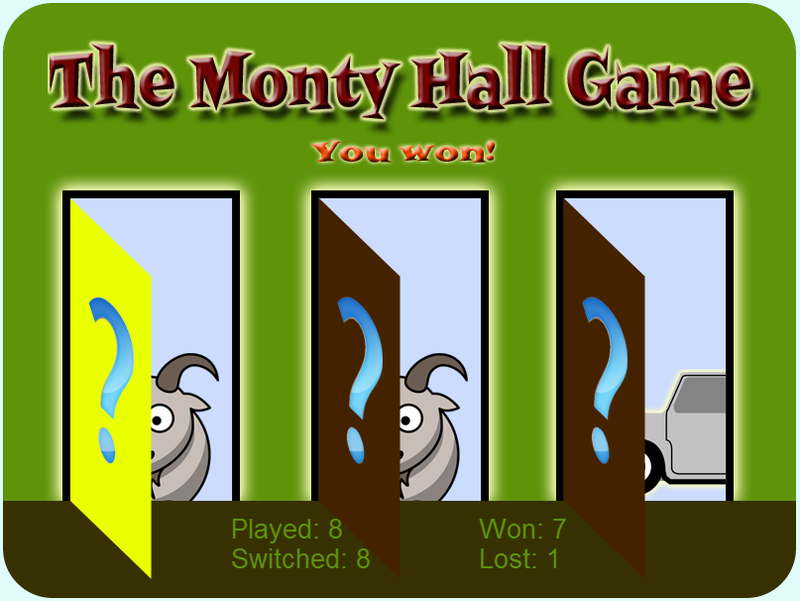 return Math.floor(Math.random() * 3); // Choose a number from 0, 1 and 2.
games.push(selectDoor()); // Pick a door which will hide the prize. 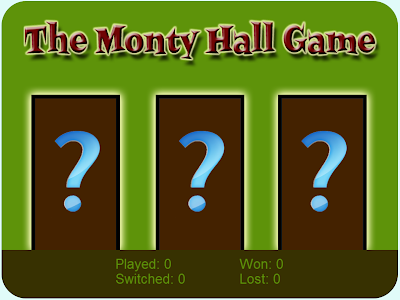 I've added this piece of code to the Monty Hall problem at the Rosetta Code website.